All of the reports and article tabulations are complete. With the help of an alphabetized list in a well-known spreadsheet program and some random numbers generated by Random.org, we picked the 10 Premium Membership winners from the top 100 qualifiers with the highest total articles (FYI, the cut-off was only 114 articles). 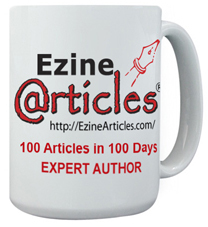 We also picked the lone winner of a full set of EzineArticles cartoon mugs. Congratulations to all of the winners! You will be contacted personally via email with more information. #HAHD 4 begins May 1st. Are you ready for the challenge? You MUST be kidding. Is it April 1st? And, no, no I’m not. I’ve got some development work to do then I’m back to writing – about the blogging tool I am developing to start off with! Looking forward to the next 100 marathon effort (and the prizes arriving for the third HAHD!!!). It is an inspiration. Suggestion for next time – could the progress bar not stop at 100% – this way we know how many articles we have submitted. I lost count after a while and it would be a great incentive to keep going! A great idea – thanks! Watch for that upgrade in #HAHD 4.
he, grats ALI!! That’s awesome! g.
Congrats for all the winners !!! I know him since last year. He is a good writer. I’m glad to see that he won the prize. Congrats Ali. Hope you will do more and get more rewards.